Coolspring Power Museum presents the history of the internal combustion engine through a series of video programs. They reveal the fascinating details of the technology of the internal combustion engine. They also tell the captivating stories of people whose lives were an intimate part of that history. This program presents the story of the Windy City air lease on its last day of operation in July, 1989. Meet Harold “Jim” McCauley who operated and maintained Windy City's two 65 hp Blaisdell compressor engines for most of the 43 years he spent pumping oil at the lease. Jim presents a detailed description of the features and operation of the Blaisdell engine that is now on display at Coolspring Power Museum. He also demonstrates how oil was pumped using the compressed air from the Blaisdells to power steam engines driving pump jacks. Throughout the program, Jim reminisces about his life in and around the oil fields in Windy City, near Kane, Pennsylvania, and describes his daily routine operating the compressing and pumping equipment. Take a nearly four hour guided tour of Coolspring Power Museum led by a number of museum engineers. The Video Tour travels through the many exhibits at the museum, stopping frequently for detailed coverage of features and operation of engines. It includes plenty of engine runs that emphasize the "living history" nature of the museum. In 1995, Coolspring Power Museum celebrated its 10th anniversary with a truly special show! The featured engines that year were Centennial Engines, those engines either built or designed prior to 1895. The show also featured engines that operate with open flame ignition. This video includes a walk-around tour of the exhibits with many close-up details of engine design and operation. If you think that Coolspring Power Museum's 600 hp Snow engine is impressive, wait until you see SIX 400 hp Snows side-by-side! Dr. Paul Harvey and Tom Spencer take a guided tour of Heath Station, near Millstone, Pennsylvania, where five of the six massive Snows are shown in operation as they compress natural gas drawn from the surrounding gas fields. The program includes detailed coverage of the Snow engines, the history of Heath Station, and a tour of the gas processing and metering equipment at the Station. In January of 2006, the Brookville Water Works, located in Brookville, Pennsylvania, retired two engines that previously provided backup for generating electricity and pumping water. 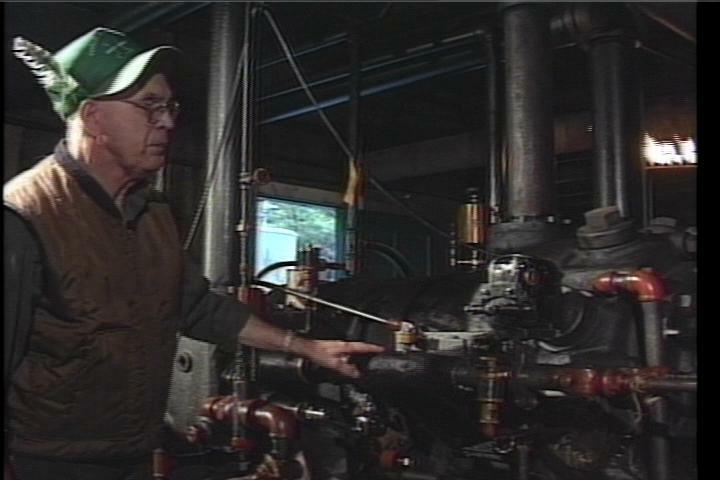 Members of the Coolspring Power Museum were on hand to document the final runs of these engines in the Water Works. 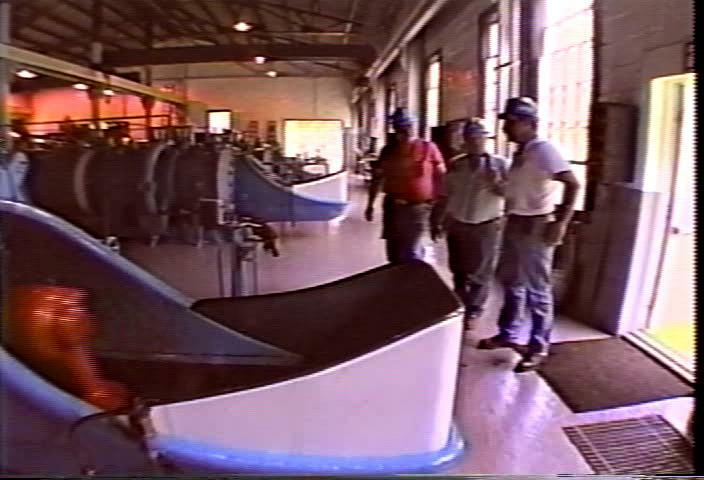 This video includes a tour of the Water Works with operator Brian Knapp and an interview with Reuben Farringer, past operator of the Works. 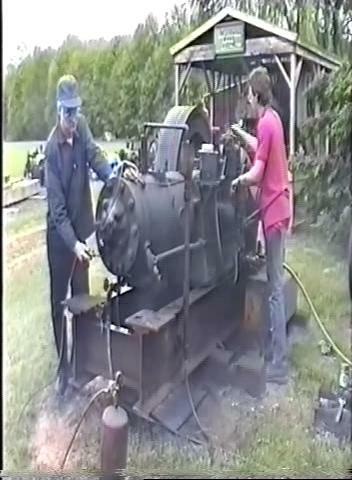 It shows the operation of the 12 hp Fairbanks-Morse engine and shows the operation of the 165 hp twin Cooper-Bessemer engine and the pump it drove. 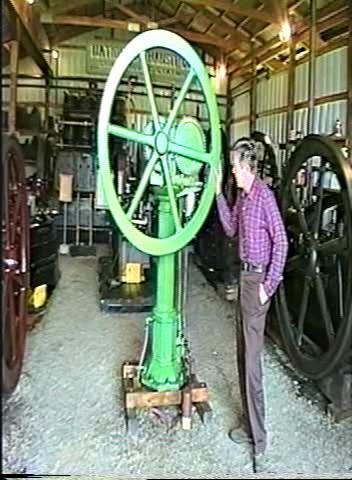 The video also features a 175 hp Otto gas engine, previously removed from the Water Works, under reconstruction at Coolspring Power Museum. 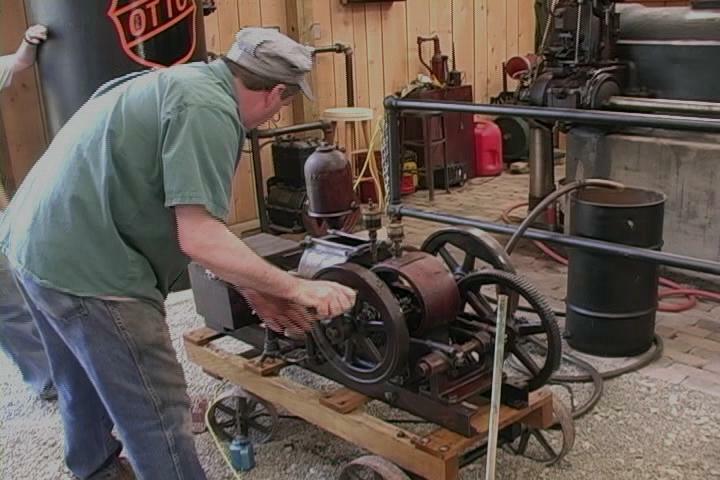 Coolspring Power Museum's June 2008 show featured Domestic engines. This video contains a comprehensive presentation by Don Kirkpatrick describing the history and designs of the Domestic engines. It also features a number of the Domestic engines on display at the show. Coolspring Power Museum videos may be purchased (subject to availability) at the museum gift shop.